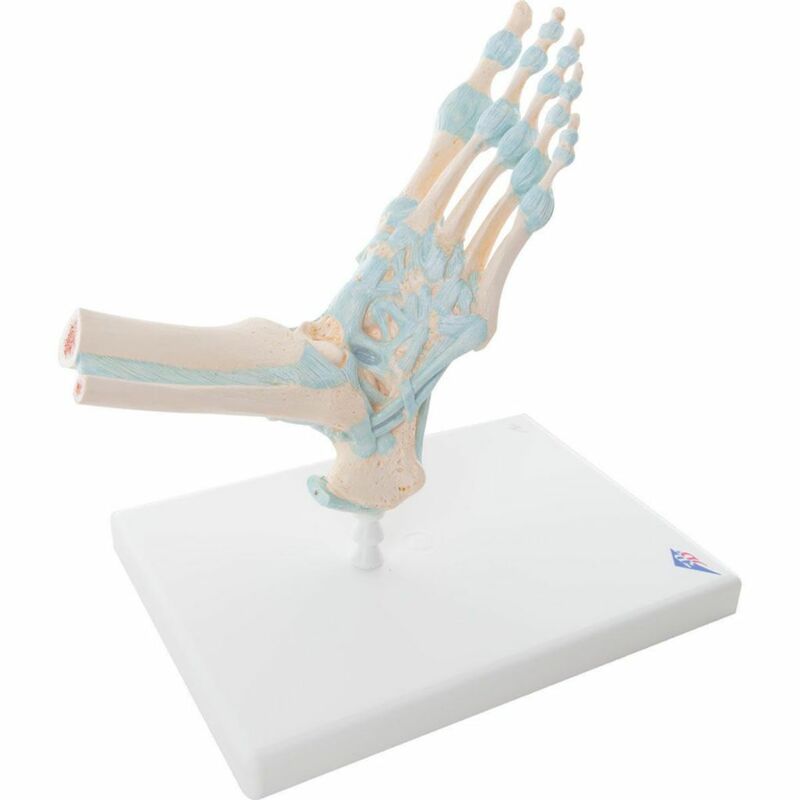 This detailed foot skeleton model displays numerous important ligaments and tendons including the Achilles and peroneus longus tendons of the ankle. The foot skeleton consists of the foot bone and lower portions of the tibia and fibula, including the introsseous membrane found between them. All the anatomically important ligaments and tendons of the foot are shown, large and small. This is a high quality anatomical replica of the human foot and ankle.